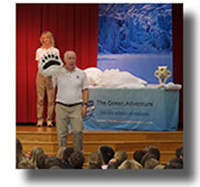 The program begins with an introduction to the Arctic and polar bears in particular. 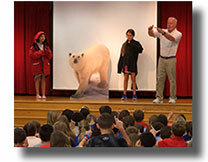 Students are chosen from the audience to demonstrate how polar bears are adapted to their Arctic environment. Specimens and models, and a polar bear skull are used to help demonstrate the unique biology of polar bears. Models of polar bear development show the growth polar bears from newborn to when the cubs leave the den with their mothers. 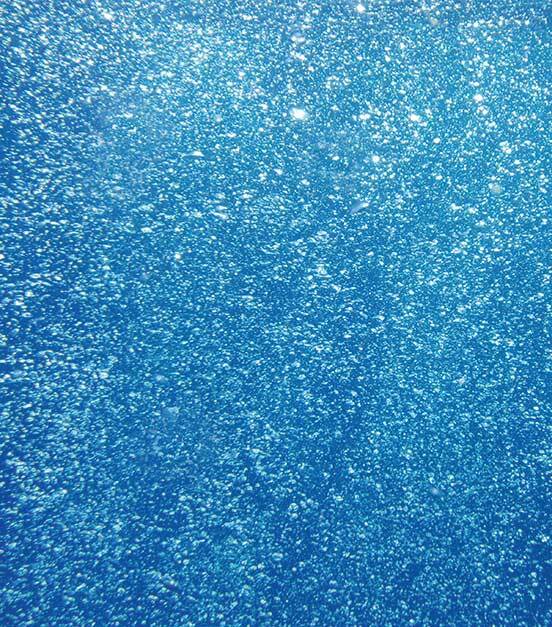 After the demonstrations, undersea explorers, Wayne and Karen Brown, then take your students on their thrilling adventure in search of Polar Bears in the frigid location of Disney's Frozen -- Norway, via an exciting and fast-paced, high-definition digital video presentation. In this HD video presentation your students join the Browns on their expedition ship where they meet the captain. As they accompany Wayne and Karen on the expedition in search of Polar Bears your students meet animals, such as reindeer, seals, walruses, and whales, that are part of the Arctic ecosystem and learn how these animals relate to the Polar Bears as part of the Arctic food chain. After the multi-image presentation, your students come literally face-to-face with a Polar Bear when they meet a full grown 9-foot long, inflatable, furry, male Polar Bear. As time allows, at the end of the presentation a brief time is set aside for your students' questions and answers. 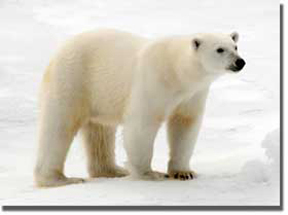 If you would like to learn more about Polar Bears visit our recent Internet Expedition.